Looking for international tourism amd trade business opportunities? Tickets for the NEWPORT NEWS Conference Awards Dinner are on sale at www.eventbrite.com. 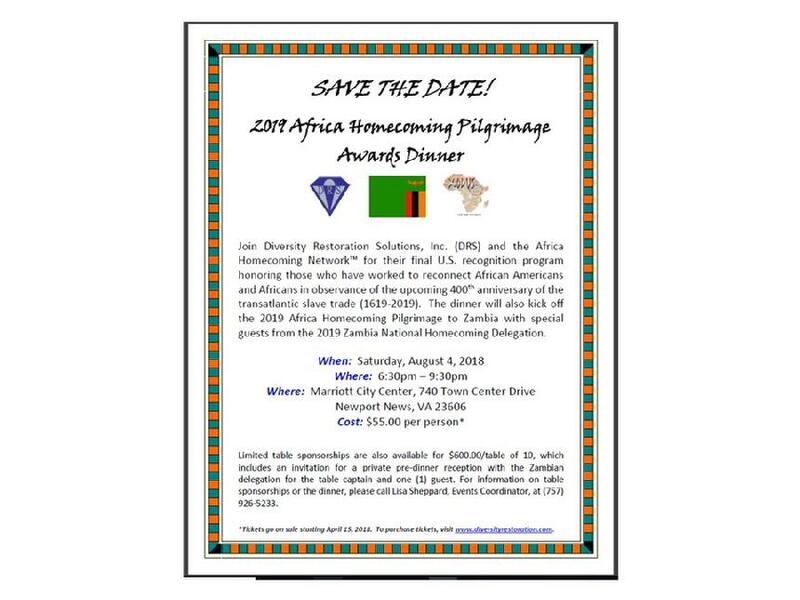 If you are interested in being a dinner table sponsor, please contact Lisa Sheppard at (757) 926-5233 or email info@diversityrestoration.com for details. ©2019 Diversity Restoration Solutions, Inc. ~ All design and website rights reserved.